This zone's name was very fitting. 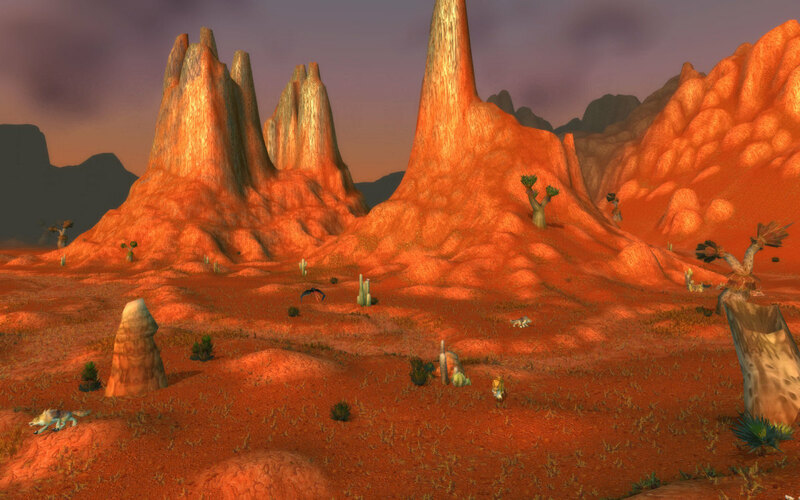 Nothing but orange/red sand, a bunch of annoying buzzards, and home to Uldaman as well as the closest horde base to Blackrock Mountain at the time. This was a zone I came to loathe and I was very happy when the Cataclysm expansion essentially burned it, got rid of all the bad parts, and just made it a fun place to quest. 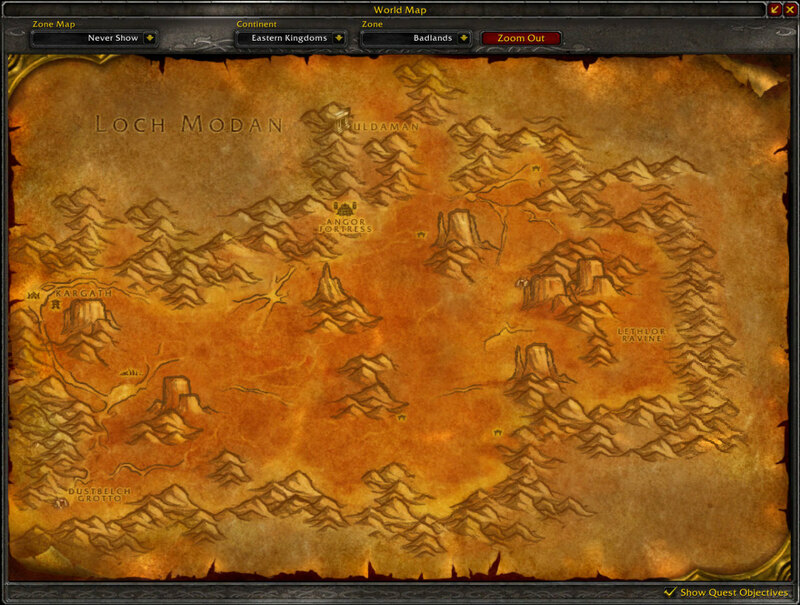 Much of the quests in this zone for both horde and alliance were pretty tedious and quite annoying. I can't tell you how many times I was dazed off my mount by a buzzard or lion, as this zone was just packed with wildlife to bug you. One quest in particular that still haunt my memories was given by a gnome who sent you off collecting earth elemental cores. Sounds simple enough but after slugging through the lesser elementals you are asked to take down you are then tasked with getting 3 more cores from greater elementals. Of course, at the time, I missed the part about "Greater" elementals and continued to kill a bunch of normal ones before finally realizing the mistake I made. Then I spent probably 20 minutes just trying to find the greater elementals (as they ended up being on the other side of the valley) and then finally, the drop rate was so bad, I must of killed 20-30 before finally getting my 3 cores. Just....Ugh. Then there was another simply heinous quest, the one that sent you off to Stranglethorn to go diving for pearls. I'm sure there are a lot of people out there like myself who fell for this trap of a quest. Not only was the quest vague by pretty much telling you to search the entire coral reef for the pearls, the reef was also covered in murlocs. Luckily I was a Warlock at the time, so I at least had underwater breathing. Nevertheless, I still ended up abandoning this quest, after fighting off a ton of murlocs for 2 of the 10 pearls I needed....no thanks. Although most of the quests in the area were pretty bad, at least one was interesting. This was a higher level quest (44 I believe) that sent you into Lethlor Ravine to collect 3 magic stones which were then used to summon a couple black dragons. I always loved this quest. You start by going through many black whelplings (which were fairly strong themselves) and searched around for these mystical stones. The exploration and discovery was quite exciting and not to mention that this was the first time you really fought any dragons. 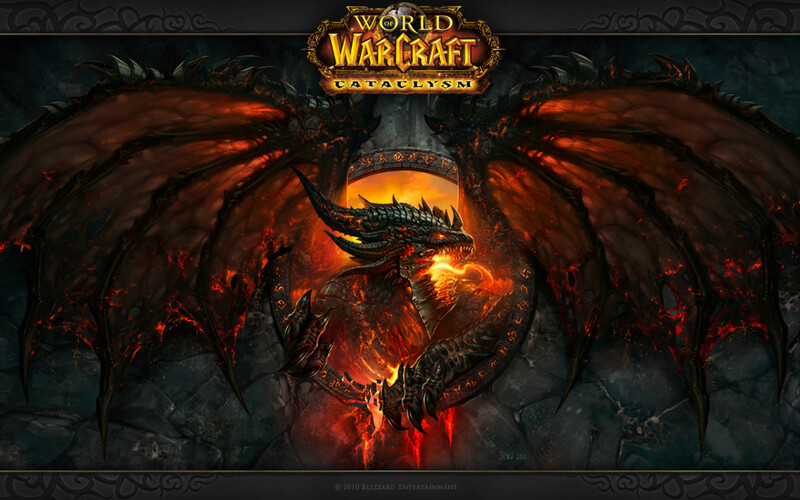 Nowadays, fighting dragons in wow isn't all that special but during this quest was probably my very first face to face encounter with them. For the final battle with the two fully grown dragons, you pretty much needed a group. As a warlock, they were extremely resistant to fire damage and I could barely do damage. It was pretty rare to find people out in the Badlands to do this quest with, but I loved every minute of it. Remember this giant buzzard that flew around the zone? I'm sure a few people out there remember suddenly being swooped upon by this ferocious beast. He was a bit random, a level 55 (if I remember correctly) elite buzzard that had no business being in the zone. He wasn't exactly "boss" worthy and high levels rarely killed him because they simply weren't in the zone to begin with. This was just a random big fish thrown into a pond and this wasn't the only case in classic wow. Like so many of the other dungeons from vanilla, the entrance to Uldaman was placed inside a mini-dungeon of sorts. This place too had its own set of quests which a lot of people actually completed when the game first came out. These mobs outside the dungeon weren't all that weak either, many of them were elites and if you wanted to complete any of the quests there, you needed at least a couple of people to come with you. There was also the occasional silver elite that could spawn which dropped dungeon quality blues. The layout of this mini-dungeon wasn't all that complicated, so finding the entrance wasn't too much of a hassle but it certainly added a pretty nice atmosphere to Uldaman as a whole. You really felt like you were excavating ancient ruins, and having to go so far down into the ground before even reaching the entrance made the theme all the more powerful. 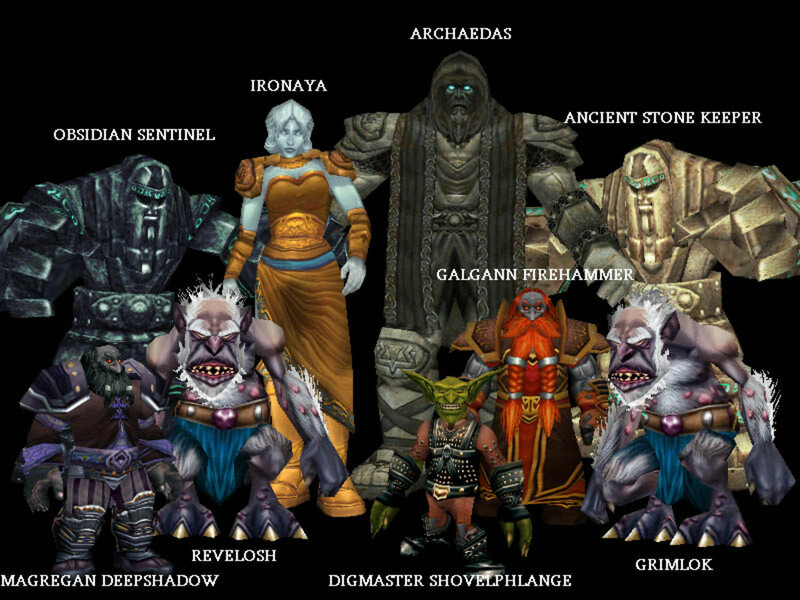 Uldaman was (and still is) an expansive dungeon all set in the ruins of "the makers". 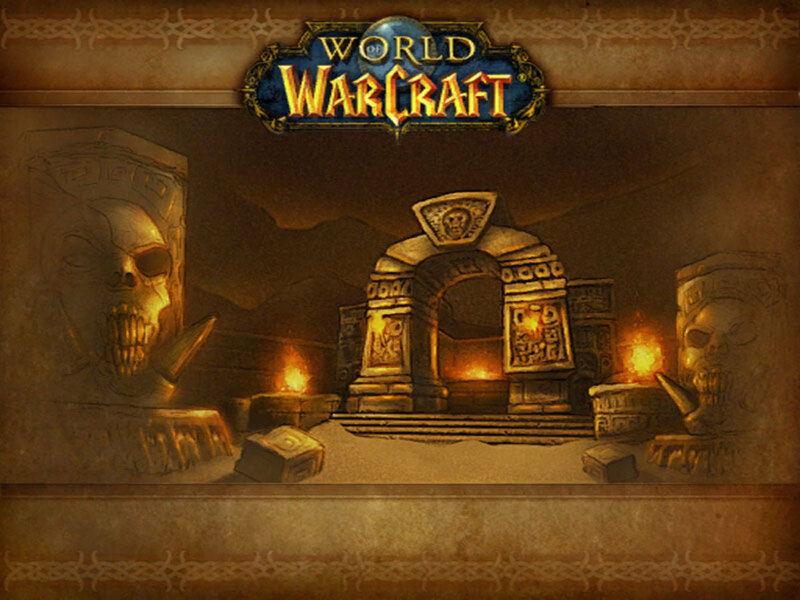 This was the first time the concept of the titans was introduced to the players who hadn't played the previous Warcraft games (which I hadn't at the time) and I have to admit this was the first dungeon that really got me interested into delving deeper into the lore of Azeroth. Now I'm not going to go over every little bit of the dungeon but instead take a look at the interesting bits and all the memories I have of this place way back in vanilla. I remember thinking that the beginning of the dungeon was pretty boring. Just a bunch of troggs and patrols to deal with. Although I do remember thinking how odd it was that there was a dead stone keeper laid up against the wall a few hallways into the place. He was part of the layout and not actually an interact-able but upon first seeing it I couldn't help but wonder what happened in this place. A bit further in was the first really interesting encounter in the place, the Lost Dwarves, Eric, Bolaf, and Baelog. For the alliance, you would defend them against a few waves of troggs, for the horde, you simply killed them. These 3 were a reference to a classic blizzard game, The Lost Vikings, and I thought it was pretty fitting to see them deep down in ruins. Just one of the thousands of easter eggs in the game. If you saved (or killed) the Lost Dwarves, you were rewarded with a staff head. Then killing the next boss, Revelosh, you were given a shaft. Combining these items made a key to unlock a chamber releasing the boss Ironaya. I can't even tell you how many times just getting the staff together causes headaches. As these were both items which were looted, it meant that someone needed to have both pieces to combine the staff. So if you had someone who wasn't paying attention, or someone who just didn't get it, you could spend several minutes trying to get the key put together. In fact, one time I believe I had a group which skipped this boss simply due to someone who had looted the shaft not understanding that it needed to be traded. Although having to do something like this was pretty cool, I'm glad these sort of mechanics have been removed. After clearing the trash in the boss room it was time to summon her. You would place the staff in a keyhole in the middle of the room which caused a beam of blue light to focus on a door (Indiana Jones Style) and the doors would swing open and out came the boss. Ironaya herself wasn't really hard though, and didn't really have mechanics, it is only memorable because of how she was summoned and how cool it was to figure it all out. This was something I didn't find out about until I had ran Uldaman several times. That you could skip half the dungeon simply by entering though a fairly hidden side entrance located a fair distance away from the actual dungeon. It was on top of a hill in an easy to miss cave. If you entered into Uldaman from there, it would have you enter pass Ironaya and gave you a little mini boss to fight in the form of the Obsidian Sentinel. Having come in from the side entrance meant that you were right next to the dark iron dwarves, one of the most annoying parts of the entire dungeon. Galgann Firehammer was the boss of the Dark Iron Dwarves and he himself wasn't that big of a deal. But clearing the trash up to him was the challenging part. There were several groups of tightly packed mobs that you needed to pull carefully. They hit hard and threat could also be an issue (remember this was vanilla where player damage was low and threat management was a thing). What caused many wipes here were runners. Every time one of these guys got low, they would run away and pull more. It was a nightmare. And I would be remiss not to mention that the only master enchanter trainer resided in this dungeon as well. You literally had to go into Uldaman to advance you level of Enchanting for no real good reason. Other trade skills didn't have to do something like this but for whatever reason, Enchanters did. And this trainer was pretty far inside as well, and you had to clear quite a few trash packs to reach her even from the side entrance. Truly this is a vanilla annoyance no one will miss. Before being able to reach the final boss, you first had to clear a circular room of mobs and activate a pedestal. This required at least 3 people to interact with it, which was pretty annoying for druids in particular which would come back here at level 60 to farm for a certain ring or even when people would come back to run friends through it. But after all that you just had to clear a couple more hallways and then you would finally reach the final boss room. It was a huge circular room with statues all around it. Another pedestal was used to activate the boss and the fight would begin. 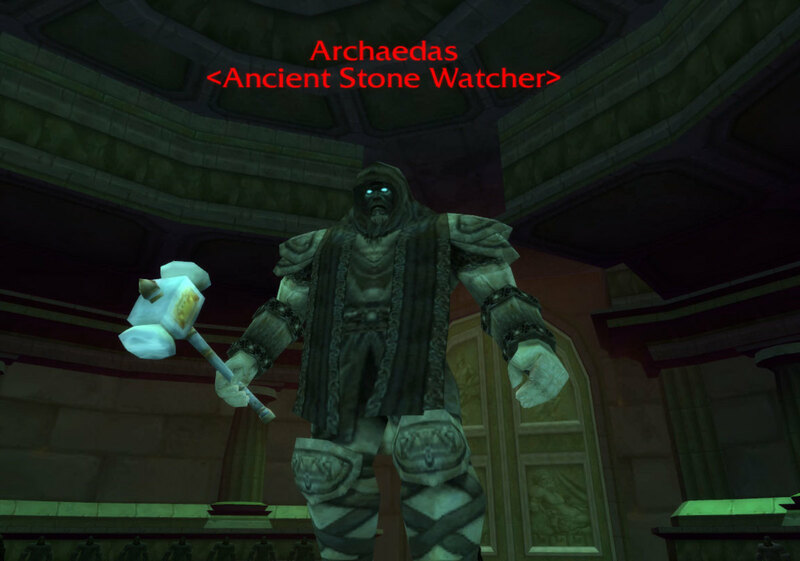 Archaedas would periodically awaken the statues around the room and dps would need to kill them or get overwhelmed. The first time I did this, it was a pretty intense fight. I had a few groups before this that couldn't even make it to the final boss. Although after a few times, even in vanilla, this fight became a cake walk. Once he was down it opened a final chamber containing a quest. The quest was to deliver discs filled with information which gave a decent reward in the end but it also supplied you with plenty of lore. Within the chamber was also a long history of the stonekin, the dwarves and troggs. 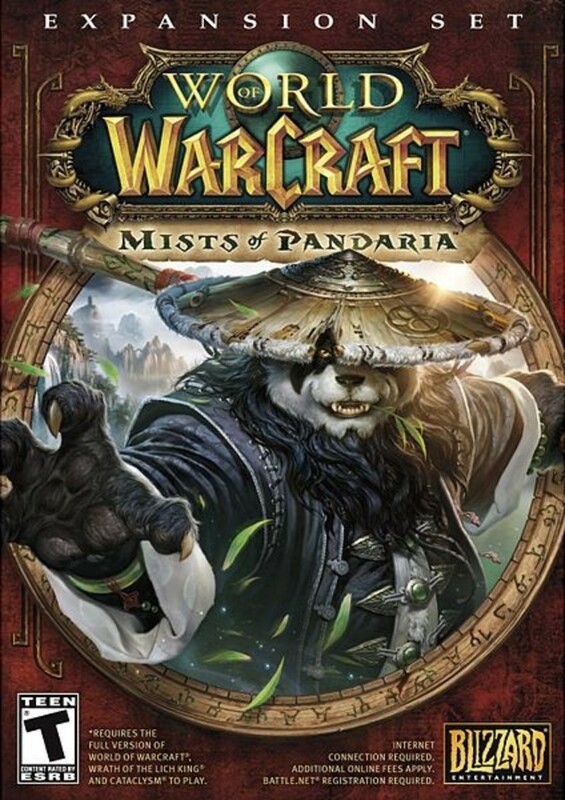 All of which was so interesting that I started to read a lot more lore into the game afterwards. Uldaman really was one of those dungeons which I can remember fondly but also remember hating it. There was a ton of trash, some pulls could cause headaches, and sometimes it was just plum hard. So although I love the lore surrounding the place, the dungeon itself was quite the hassle. Next time I will discuss the gradual loss in logic WoW has had over the years. From basic mechanics to certain stats. Great read. I actually had forgotten about some of these things. I spent too much time trying to blaze through levels when in those areas that I never stopped to really take a look around. Keep up the great hubs.